Not always. When I checked out of my hotel this morning and paid the 375Euro bill with my Chip & Sig card they didn't even ask me to sign the slip. It's happened several times actually, it's like people just assume that Chip = Pin and you don't have to sign. Hotel stays are a poor example. Although, never having used a Sig card outside the States yet, I am curious as to which merchants in general get the most freaked out by a signature: clerks at small bodegas? larger retail shops thinking you're going to fence the stuff? restaurants? 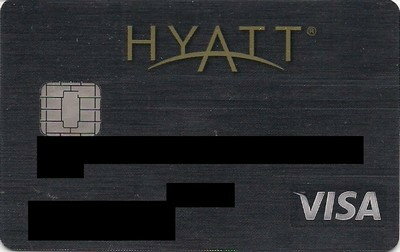 I thought that American tourists are supposed to be so obvious to all foreigners that they'd think, "This has to be the (American) card holder generating a signature!" Ironically for me a tourist spot in Australia gave me the most hassle with signature in that they actually checked and made me sign again since I scribbled like I was used to doing in America. I think the rest of the places I went to didn't bother checking because the transaction amounts were low anyway. Could just be bad reporting, but meh. The reporting is fine, but it said of total fraud, not of CNP fraud. There's also application fraud, internet fraud, mail fraud, etc. 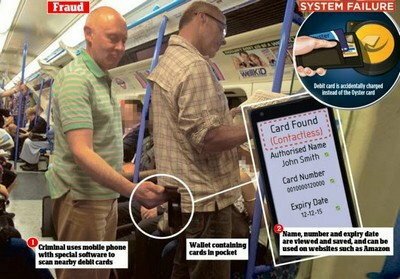 Far more than just counterfeiting and stolen card fraud. 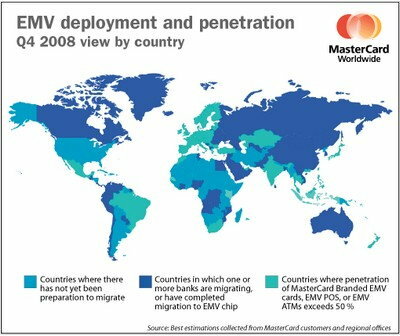 The only question is how many places will use the pin on chip and pin primary cards. I would suggest it will be less than 30%. No way. 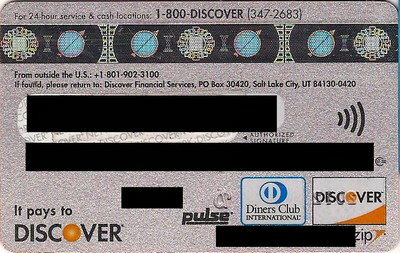 Mastercard, Discover, and American Express have a PIN liability shift. And signature skipping only applies to the SIGNATURE CVM. Not to PIN. Which makes sense, PIN is way less hassle. It takes a couple seconds. With the exception of mobile payments and maybe some restaurants, don't expect anywhere to not ask for the PIN on an OFFLINE PIN card. An online PIN card will likely revert to signature. My guess, just a guess, is you signed something when you checked in. Nope. Didn't have to present a card or sign anything on check-in. The other times it happened were at a grocery store. Jeff: Hilton does not require Diamonds to sign anything, or produce ID, at check in. 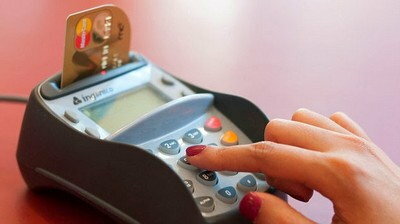 Most they'll do is confirm that you wish to use the credit card on file (for incidentals). Maybe they got the numbers from this chart? It would be nice to see how much of the CNP fraud came from skimmed cards vs. breaking into the online stores themselves. The PIN liability shift only comes into play if the card is PIN preferring. Since almost no US issued cards are such there's effectively no difference in liability by simply disabling PIN support at the terminal. (Of course, if the business gets a lot of foreign visitors they may want to think more carefully about the implications.) That said, most places won't do that other than those who've traditionally taken cards away from customers such as table service restaurants. But we don't know for sure if that'll happen. Oh, and I think online PIN support will come eventually since some of the cards that are PIN preferring (Navy Federal for example) have online PIN first. 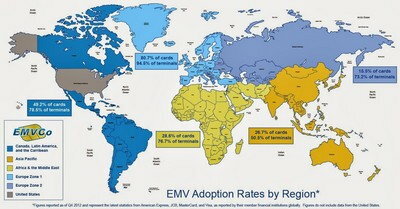 Comments again, are the interesting read, showing how much people still confuse EMV with contactless when there's more to it than that. Another guess is they assume you have entered a PIN, and they usually just keep the first copy for themselves. Most cashiers won't pay attention to what you're doing on the keypad, they just hit credit when it asks the cashier to select payment type. This is my theory. 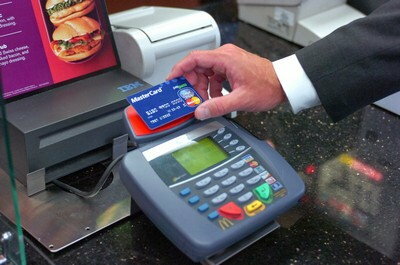 They see me stick in the card and hit "Ok" so I think they assume it's a regular Chip and Pin. Sometimes they look really confused when the printer is spitting out extra receipts, but then they just bunch them all up and hand them to me. Actually I just ate at a place in the US where they handed me both receipts even though I had to sign one. They've done this before and not requested the signature one back so I'm thinking it's not a mistake. EMV's turned on on their terminals so this might be why. The first thing we surveyed respondents on was whether or not they would use a self-service POS system in a restaurant, if available. The results were close: 54 percent said they would use these systems for ordering or paying, while 46 percent would not. However, exactly 50 percent of respondents said they’d prefer to self-pay at casual restaurants, while only 29 percent said they’d prefer to do so at fast casual restaurants. Fast food restaurants types were preferred by 13 percent of respondents for self-ordering and self-paying. Meanwhile, fine dining was preferred by 6 percent for self-ordering and 8 percent for self-payment. Finally, we broke down respondents’ preference for using self-service technology by age. We found that 71 percent of those age 18 to 34 prefer to use self-service; the highest of the three age groups. This percentage drops with an increase in respondents’ age: 57 percent of those age 35 to 54 said they’d prefer to self-order, while just 34 percent of those age 55 expressed a preference for this technology. Might explain the tablets at the table thing for Chili's and Red Robin (casual dining) FWIW. It wasn't a sit-down restaurant, so no tip line on the receipt. I got an email from Target saying their on track for 2015 in turning chip readers on. The question is when? Well, at first I think they were aiming for fall of 2014 for enabling EMV, so I'm going with December 31, 2015 at the earliest. LOL, no, I expect all the big chains to be done by October 1. Two months of fraud liability is not something they'll accept.